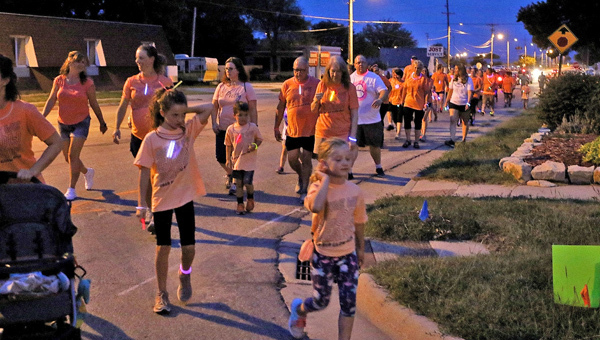 The second annual HYP Glow Run kicked off at 9 p.m. Friday, July 27. Runners wore orange shirts with the motto “Here we glow again” that they received as part of their registration as well as various glow bracelets, necklaces and anything else that glowed. Several participants went all out with shoes that lit up and other fun accessories. The event, which allowed runners to participate in a mile or a 5K walk or run, was sponsored by the Hillsboro Young Professionals. 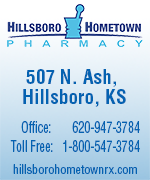 HYP is an organization formed by the Hillsboro Chamber of Commerce for professionals of all ages in Hillsboro. 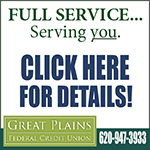 They also sponsor a bowling event in the fall, and in June, they sponsored the Monday family movies put on to raise funds for the Hillsboro Community Plaza. The money raised by the Glow Run helps with these activities. While many of the athletes were locals, some came from other towns just to participate. And more signed up last minute when they found out about the run while attending other fair activities. Not only were there a large number of participants, but many came out to show support. The loud, upbeat music and cheering crowd of spectators and volunteers made for a festive environment. “It was so cool to see the whole town cheering you on,” said Maddie Suderman, 15, who alternated walking and running with family and friends. Participants simply signed up for the race and then could choose which route they wanted to take once the race started. Both races started and ended at Memorial Park, and ran simultaneously. Markers were there as well as volunteers stationed along the way to help guide all to the finish line. Dale’s Supermarket sponsored the after race refreshments. They had a booth with water, granola bars and apples available for all of the runners and walkers. Winners of the mile walk got bragging rights while the first male and female adults and male and female youth to finish the 5K were given $10 gift cards to Casey’s along with their bragging rights. Holly Dalke and Kevin Winter came in first for the adults, and the top youth finishers were Trey Gaddis and Mirriam Hofer.